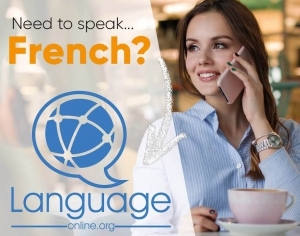 Salut, and welcome to our lesson about French past participle agreement, at Language Easy! I still remember how my teacher used to insist on that matter back in the school days. The interesting thing is that it requires a bit of reflection, not just applying rules. We will focus on the agreement of the French past participle when it is used along with an auxiliary verb être or avoir (as part of a compound tense). Also, to make it more simple, we will consider that the verb has only one grammatical subject, the other cases being covered in the previous lesson about verb agreement. A direct transitive verb is a accompanied by a direct object complement (COD), that is whom or what the action is done to. For example, lifting a cup, eating an apple, etc. An indirect transitive verb is a accompanied by an indirect object complement (COI), that is whom or what indirectly receives the action that is done; the COI is always introduced by a preposition. For example, talking to someone, thinking of something, etc. Evidently, an intransitive verb is a verb that doesn’t have a complement at all. 1. The past participle used as an adjective, without an auxiliary verb, must agree in number and gender with the noun to which it is associated. C’est une maison comfortable, construite en bois. It’s a comfortable house, built of wood. Des murs peints en vert. 2. The past participle conjugated with the auxiliary être must agree in number and gender with the subject of the verb. Hélène est allée au marché. Hélène has been to the market. Préviens-moi quand les enfants seront passés voir leurs parents. Notify me when the children will have visited their parents. 3. The past participle conjugated with the auxiliary avoir is invariable, unless it is transitive and its COD is placed before him, in which case the agreement is done with that COD. This morning, I picked up sunflower seeds for my sister. Here are the seeds I picked up with my brother. To my brother, I gave three. That’s all, and once you get it, it’s actually quite simple. Of course, as we’re studying French, things had to be a little complicated than that, didn’t they?Well, yes and no. Of course, there are quite a few cases with French past participles that demand a specific attention, but they’re not exactly exceptions; instead, they are more like little tricks, where one has to think a little bit to find out which element of the sentence is the COD or not, or if the agreement logically applies. Undoubtedly, French is a language driven by the meaning in the first place. The past participle of the verb être, “été”, is invariable and never agrees. J’imagine les filles qu’elles ont étées été dans leur enfance. I can imagine the little girls they have been in their childhood. Les élèves que j’ai vus manger. The pupils that I saw eating. La pizza que j’ai envoyé chercher. You have probably noticed it, but can you explain why there is no agreement in the second example, although the COD (the pizza) is obviously before the verb? Firstly, in the first example, les élèves is certainly the COD of the verb voir, I saw the children. And, by the way, they were eating. So, the construction with the infinitive doesn’t bring much more than the rule. However, in the second example, the subtlety is that the pizza is NOT the COD of the verb envoyer. I didn’t send the pizza, I sent someone who will fetch the pizza. So it’s the COD of the verb chercher, and any agreement would be with that verb if it were applicable (but it’s at the infinitive). Les personnes que vous avez averties que vous alliez cuisiner. = The persons whom you notified that you would be cooking. Les invités que j’ai vu qui arrivaient. = The guests that I saw (that they were) arriving. Here again, in the first example, les personnes is indeed COD of the verb avertir (you notified the persons), while in the second example, what I saw was not the guests but the fact that the guests were arriving. Hence les invités can’t be considered COD of the verb voir. Note that if we had simply had said “Les invités que j’ai vus”, then of course it would had changed everything, right? Pronominal verbs describe an action who is done reciprocally or reflexively. In other words, the action is done by the subject, to the subject. Their mark is the use of a reflexive personal pronoun (je me lave). The pronominal verbs are always conjugated with the auxiliary être, however, the rule for the agreement of the past participle applies as if it were conjugated with avoir. The art of the agreement is, again, to recognize the COD, and the role of the reflexive pronoun. 1. If there is a COD other than the pronoun se, then the agreement is done only if this COD is placed before the verb. Hélène s’est blessé (VERB) la main (COD). Regarde la voiture (COD) qu’il s’est achetée (VERB) ! Look at the car he bought for himself! 2. If the pronoun se is a COI, then there is no agreement. Marc et Hélène se sont parlé hier. Marc and Helen talked to each other yesterday. 3. If the pronoun se is a COD, then there is an agreement with the subject (which is because the pronoun se is always placed before the verb anyway). Here, for example, we are in presence of transitive verbs (blesser quelqu’un, écouter quelqu’un), and the pronouns se are the CODs. Ils se sont blessés mutuellement. They mutually wounded each other. Ils se sont écoutés chanter. 4. Else, the verb is intransitive (se is not a complement) and by rule the past participle agrees with the subject. Ils se sont plus dans cet endroit. Ils se sont souvenus de leur enfance. Interestingly, like the examples above demonstrate it, the construction doesn’t depend on the verb, but on its use and on its meaning : you just saw that se blesser can be intransitive or transitive, and in this last case its COD can be reflexive or not. When the COD is the personal pronoun en, the past participle can agree or not, at the cost of a slight difference in the meaning. Voyez cette eau, en avez-vous bu? = Look at this water, did you drink some water ? Voyez cette eau, en avez-vous bue? = Look at this water, did you drink some of it ? But certainly you shouldn’t preoccupy yourself with this, as you can safely ignore this rule and always agree a French past participle with the pronoun en. I thought it was worth mentioning though, to get another chance to understand how French is driven by meaning. Et voilà, we reached the end of our lesson about the French past participle agreement. Here too, there are quite a few more subtleties that are causing interminable discussions in the grammar forums, but they’re particular cases that are not used in a daily basis, and my goal is not to see your head explode. So we’ll keep it here ! Next lesson will be about French adjectives.